TECHNÊ: AN ART, SKILL OR CRAFT; A TECHNIQUE, PRINCIPLE OR METHOD BY WHICH SOMETHING IS CREATED. SHOP OUR FULL COLLECTION OF DECKS, APPAREL AND ACCESSORIES. 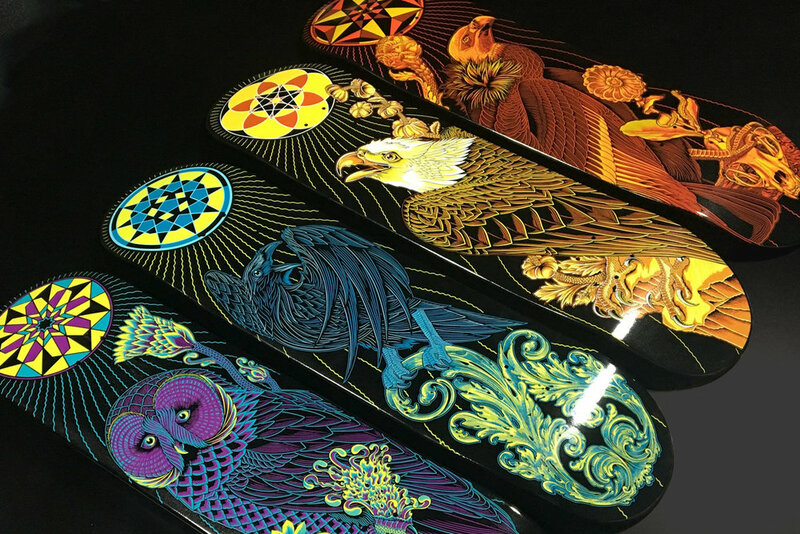 CHRIS PARKS AKA PALEHORSE CREATED THE ARTWORK FOR THE FIRST BOARD SERIES. LEARN MORE ABOUT HIS TECHNÊ.